A question that has arisen in the wake of Pope Francis' new encyclical is of whether its plea for the rights and dignity of creation is continuous with Catholic teaching thus far, or an innovation. Is the pope teaching something new or old? To understand the story better, I spoke by phone with Fr. 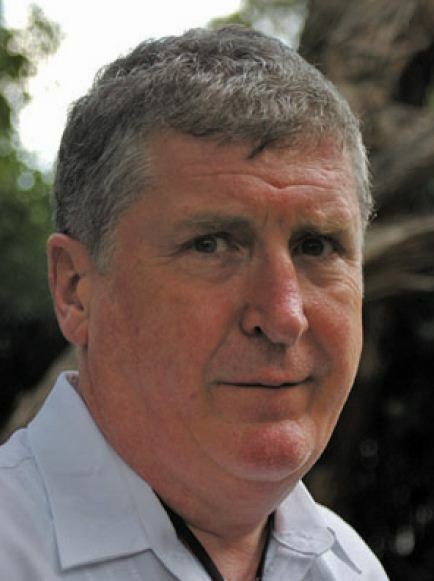 Seán McDonagh, an Irish Columban priest who has been writing about the moral theology of the environment for 30 years. He also served as an advisor to the pope on "Laudato Si'," but he is still willing to call the church to task for its tardiness in recognizing the urgency of the ecological crisis. Many people seem to think that the ideas in the pope's encyclical are very new, but you’ve been developing theologies of ecology for decades. How did this begin for you? I was a missionary in the Philippines for many years, and I worked with a tribe of people on the southern island of Mindanao called the T'boli. I watched the decimation of their tropical rainforest, which is extraordinarily rich in biodiversity. Almost all of it was cut down for use as lumber. I saw the impact of that—a loss of biodiversity, the destruction of topsoil, and the movement of topsoil into the sea, destroying the coral reefs. I began to see that these things were linked to how we were living in a very unsustainable way. I began to develop these concepts in the first book I wrote, “To Care for the Earth,” which was published in 1986. It took me two years to get it published, because nobody wanted to hear about those kind of issues at the time. That was also a time of an extraordinary growth in corporate power, facilitated by international treaties and trade agreements that didn't account for the poor and the environment. Now we’re paying the price. As an anthropologist, I was looking at the impacts of these realities in the Philippines. At the time, there was very little in Catholic social teaching about the Earth. The forest was not a moral issue. The forest had no rights. Rights go to your fellow human beings, but we didn’t take any of this moral language into the way we related to the planet. There were some elements of this in the early 1970s, namely as a result of the work of a very distinguished Catholic economist, Barbara Ward. She was an advisor to Paul VI toward the end of his papacy, and she spoke at the 1971 synod on justice about the destruction of the environment. She was looking at the relationship between rich countries and poor countries, and the need for people in rich countries to share their resources. In the late 1960s, she became concerned about sustainable development and the irreversible damage we had been doing to the natural world. But it didn’t become part of Catholic teaching. Many people point to the legacy of St. Francis as a precursor for Pope Francis in this respect. Is it fair to trace the history in that way? Franciscans became very good, pastoral people in the sacramental role of the church—in confessions and all that—but St. Francis' fraternal orientation toward the rest of nature didn’t persist for centuries. It has only been taken up again in the last two or three decades. For a religion that believes in the Incarnation, in God becoming part of the natural world, we hardly had a theology of creation at all. And that’s what we’re trying to change now. Pope Francis is talking about the intrinsic rights of nature; that would’ve been unbelievable even 10 years ago—that the natural world has intrinsic value, not just instrumental value for human use. The World Council of Churches was way ahead of us in the 1980s, and we didn’t fully cooperate with them. We were asked, actually, in 1990, to co-sponsor the World Convocation on Justice, Peace and the Integrity of Creation in Seoul, and the Vatican refused to do so. What Pope Francis has come up with, therefore, is quite revolutionary doctrine. And it’s way ahead of where the Catholic Church is in terms of having care-of-the-Earth ministries in local parishes and dioceses, so it will take a huge amount of education for this doctrine to work its way into the life of the church. That’s what, I presume, America magazine is trying to do—help facilitate this process. I hope so. When you were trying to develop these ideas in the '80s, when there was not much on Catholic social teaching to draw from, what did you turn to? What sources? I turned to the scriptures, most of all—particularly the Hebrew scriptures, which contain multiple theologies of creation, not just in the Book of Genesis, but also in the Book of Job, for example. There are species that have no function for humankind. I was supported, also, by the beliefs and culture of the T'boli people, who have a much more responsive approach to the natural world—never using it up or abusing it, because if they did they know they wouldn't be able to survive. In the 1980s, with the pontificate of John Paul II, the environment came into some of his teaching. But there was never a comprehensive understanding of the damage that environmental damage was doing to the fabric of life on the planet. And there was not an understanding that we needed to address this with a sense of absolute urgency. Even as the United Nations sustainable-development discussions were happening through the 1980s, the Catholic Church was on the periphery. It would be untrue to say otherwise. What kind of role has the church had in environmental diplomacy since then? At the moment, with the new document out, people are forgetting the historical evolution of things. I’ve been at most of the United Nations conventions on climate change, and while other religious groups sent people who understood the relevant issues and acronyms—like IPCC and UNFCCC—the Catholic Church would send, maybe, whoever happened to be the nuncio of the country where the meeting was taking place, along with a few others. They didn't seem to understand what happening. The encyclical is very critical of politicians for not coming up with solutions. But I believe the church itself is also to blame, along with its bishops, in failing to recognize quickly enough the crisis of the habitability of this planet, not just for humans but for other species as well. This encyclical is the first recognition of the issue's true urgency from the church that I’m aware of. How do you understand this concept of "integral ecology" that the encyclical relies on so much? I have no problem with the term, as long as most people don’t misuse it. We must remember that ecology is a science—the science of the relationship between the biosphere and other systems on Earth. The integrated ecology that Pope Francis has developed is a relationship between ecology and the kinds of efforts that he wants to see us build in terms of human equality and well-being on the planet. He does very well in that. He marries the depravation of the poor of the world with the destruction of the life systems of the world, the ecosystems of the world. That’s probably the strongest aspect of this whole encyclical. It succeeds in this better than almost any document that I know of, even from the United Nations—establishing the link between impoverishment, the marginalization of the poor and, at the same time, the destruction of the Earth. It's true that the destruction of the Earth has a greater impact on the poor. Take the issue like climate change; Africa is responsible for a small percentage of carbon emissions into the atmosphere, but climate change is having an extraordinary impact on many areas in Africa. The poor, who did little to cause this, are the ones suffering most. What do you see as the remaining challenges in developing a Catholic theology of creation? We’re beginning to regain a sensitivity for other species. It’s clear now that they have intrinsic value, and we have very serious obligations in how we relate to them. I’d like to see that developed more. One of the things religions do is well is ritual. We really need a ritual at this point—almost like the lamentations of the Hebrew scriptures—to lament for what we’re doing to the planet and the species we're pushing over the precipice of extinction without even giving it a second thought. We need to be lamenting these things. We also need to reconsider our relationship to water. People like myself who’ve been at this for years see that, as the ecological crisis intensifies, one of the first challenges that people will face is access to fresh, potable water. We need to develop the ethics, the theology and the praxis. The question of how to live out our relationships with the natural world is at the heart of what it means to be a Catholic Christian in the 21st century.